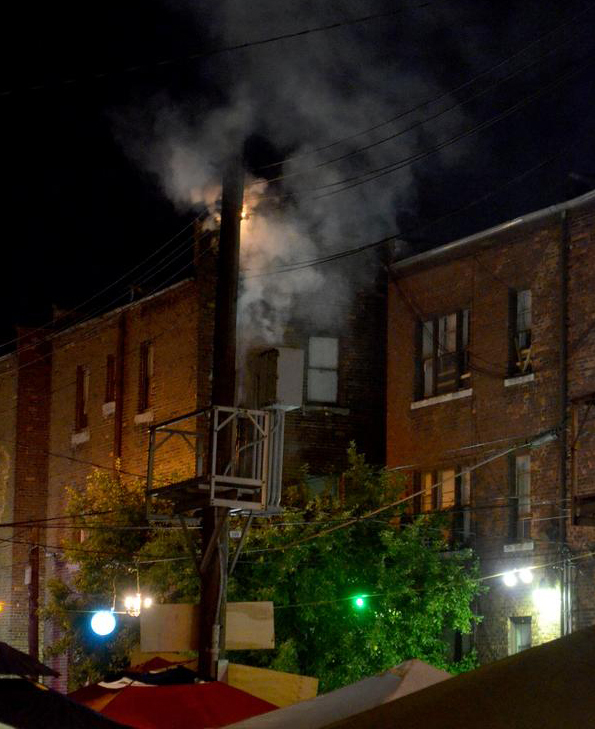 A transformer burns at Dally in the Alley. Photo courtesy of Dustin Blitchok. 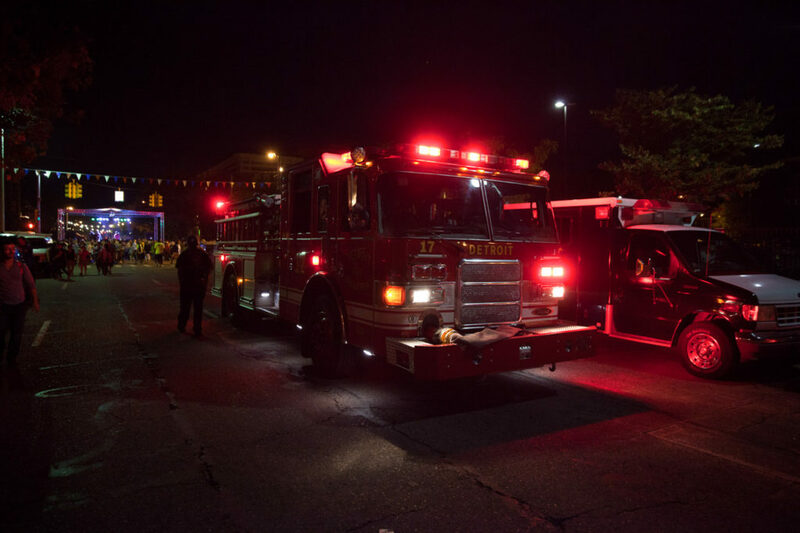 Sparks, explosions and then a small fire broke out at the packed Dally in the Alley Saturday night in Detroit after a transformer blew, forcing the festivities to end early as live wires dangled precariously above thousands of people. Festival-goers were wedged into the Cass Corridor for concerts, drinks and vendors when the transformer began sparking about 9:40 p.m. Firefighters quickly called for an evacuation. “We have a lot of people and have to clear everyone out because there are power lines over everyone’s head,” Engine #1 told dispatchers. The power lines were used for the concerts. 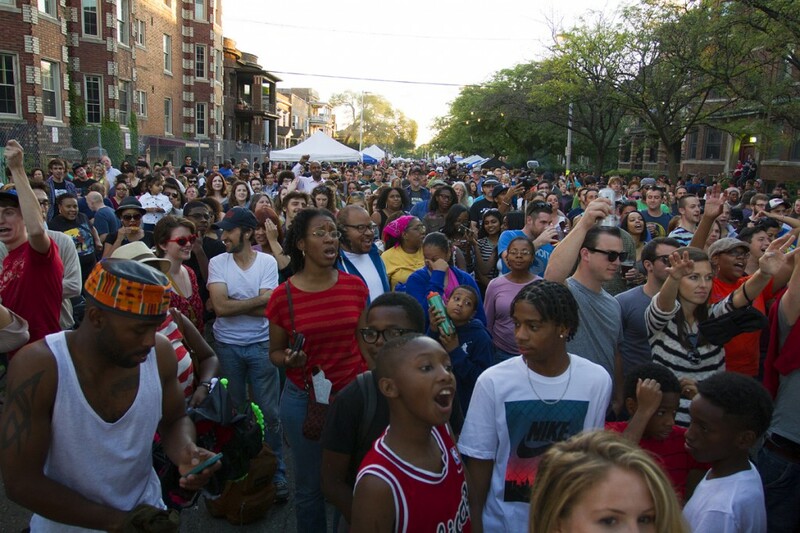 Despite the early end, Dally in the Alley was a big success. Dozens of bands performed, and the weather was beautiful. Vendors reported good sales, and attendance appeared to be as good – if not better – than previous years. Check out our positive coverage of Dally in the Alley on Sunday. Large crowds turned out for an eclectic collection of music. ok 1. the transformer never blew. 2. no wires were dangling over anything. 3. the response time was slow as hell. i was right there the whole time. i had a booth very close to the pull that caught fire. Good catch! I even saw that episode and swore never to use that incorrectly, and bam! Appreciate it, and love the reference. ATTENTION, CEASE DALLYING IN THE ALLEY, RUN! Aw man, what a bummer. Glad the response was fast, though.